Translated and edited by Xuefei Chen Axelsson. Photo by Mao Zhiliang. 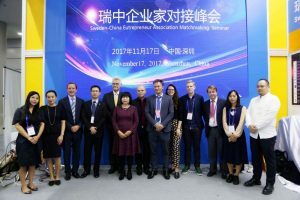 STOCKHOLM, Nov. 20(Greenpost)—The first Sweden-China Entrepreneurs Match-making Conference held in Shen Zhen on Nov. 17 was very fruitful. 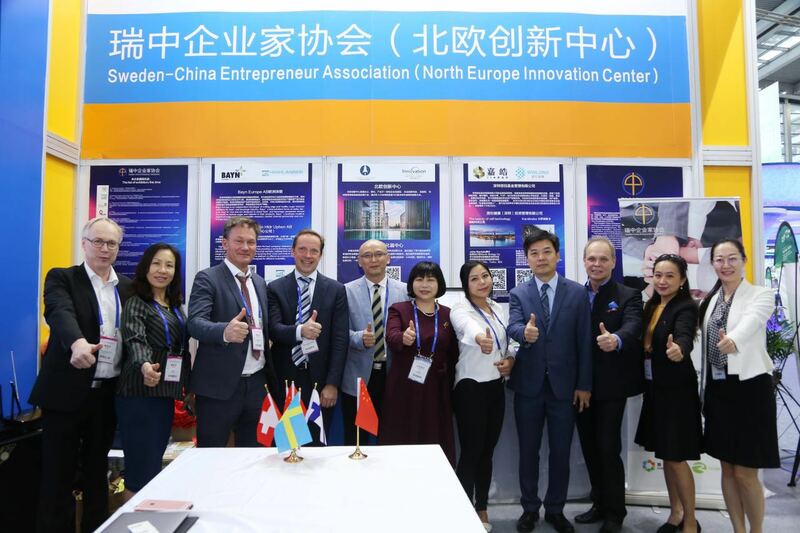 Many Swedish companies including Nordic Innovation Center, Bayn Europe AB and Highlands Uptown AB and Sweden-China Entrepreneur Association have presented their companies, met their Chinese counterparts and signed agreements with them for future cooperation. 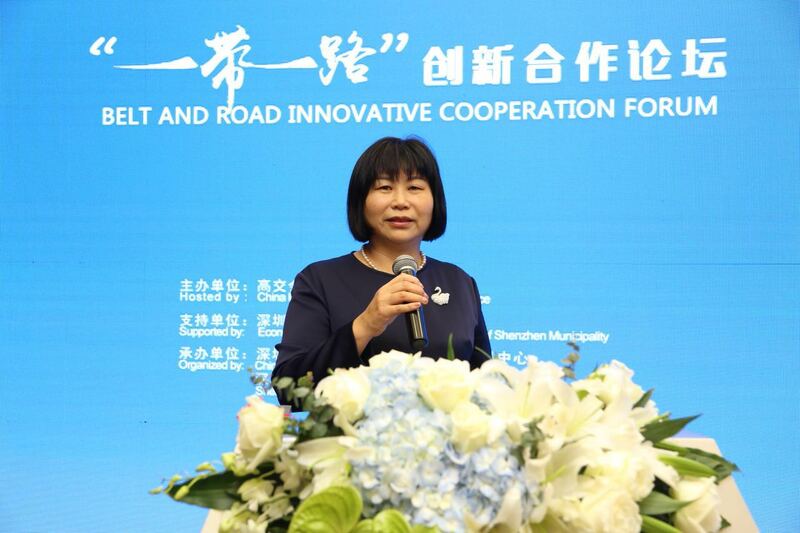 At the forum focusing on belt and road initiative, Gao Sinuo, Shenzhen Investment Promotion Agency said that Shenzhen is an innovative and open city and the bridge in connection to the outside world. Shenzhen is a cosmopolitan with greatest potential to invest. Patrik Edström from Bayn Europe AB said his company is engaged in studying sugar reduction solutions at various chain. It was established in 2009 and was in public listing in Nasdaq in 2014. Anders Berg, CEO of Highlander Uptown AB said they are going to build a financial IT platform and can help financial institutions to lower their cost by 90 percent and give good returns for private savings. 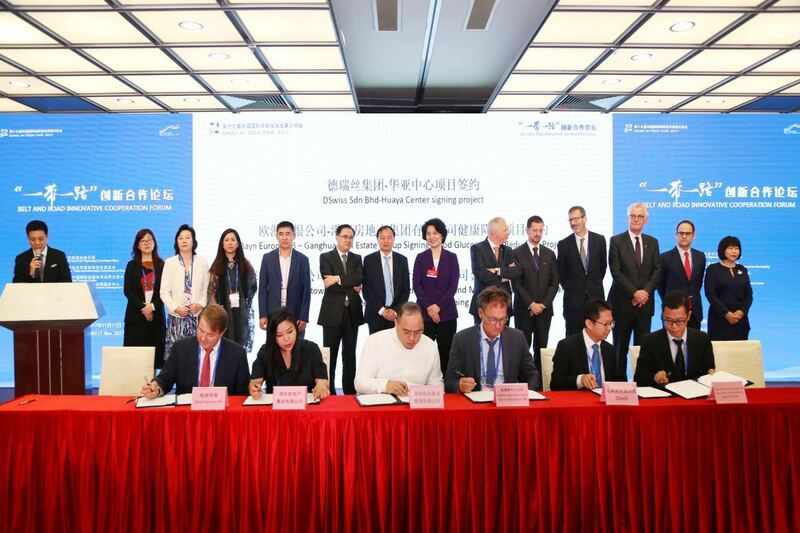 Three agreements have been signed during the Swedan China Entrepreneur meeting. 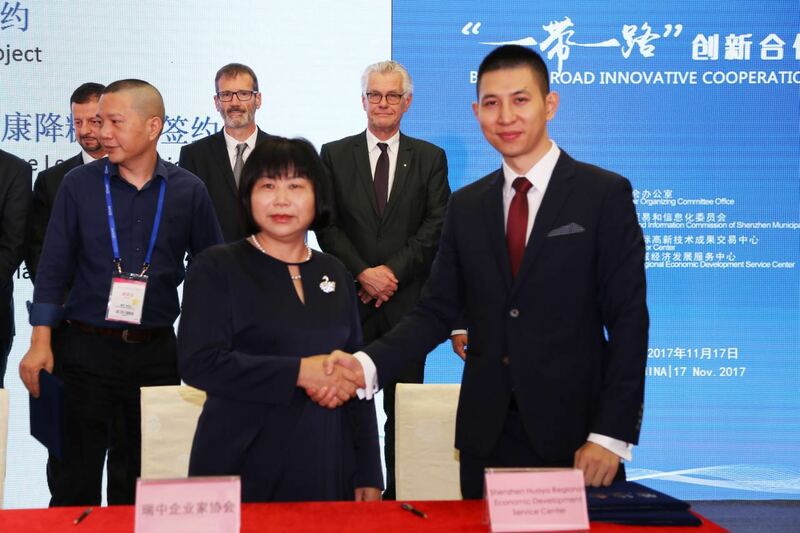 Zhang Qiaozhen, President of Sweden-China Entrepreneur Association and Zhang Kao, Secretary of Huaya Center signed MOU, Patrik Edström of Bayn Europe AB signed agreement with Zhang Luping, General Manager of Kongwah Real Estate Group on studying of sugar reduction. Leif Anders Berg signed agreement with Zhang Shenhua, President of Shenzhen Xinyu Fund Management Co.ltd. Zhang Qiaozhen thinks this signing of agreements between Swedish and Chinese enterprises is due to a two year efforts. 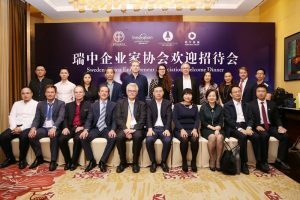 Sweden-China Entrepreneur Association and Bayn Europe AB signed agreement to cooperate in lowering sugar for good health. 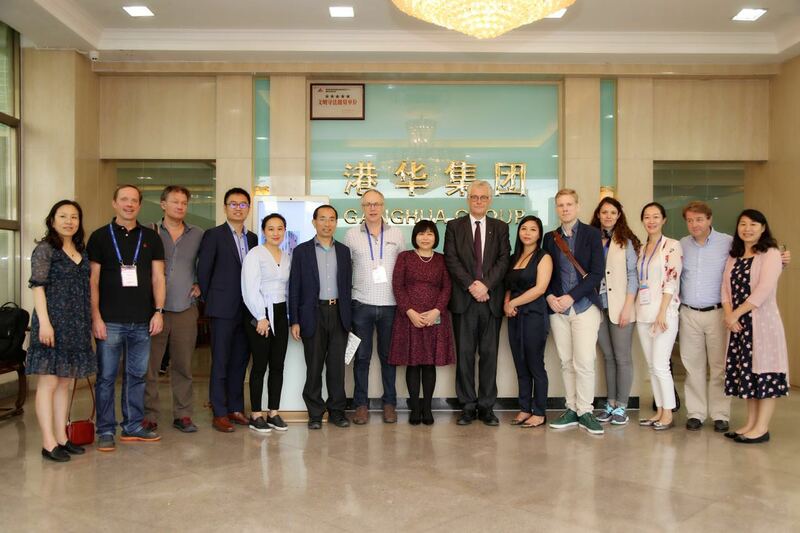 Karolinska Cancer research project and Finteck Financial management project have been a sign that the two projects have been in contact and cooperation with their Chinese counterparts. Ai Xuefeng, Vice Mayor of Shenzhen led his colleagues Qiu Xuan, Gao Lin, Sun Huaizhong, Wang Youming and Chen Guangwen from Shenzhen government came to talk with the Swedish companies led by Olle Zetterberg, Director of Business Sweden, Ulf Borbos of North European Innovation Center, Leif Anders from Highlander Uptown AB, Zhang Qiaozhen , President of Sweden-China Entrepreneur Association and Zhang Luping, General Manager of Kongwah Real Estate Group. 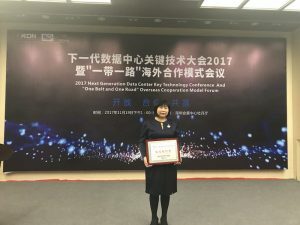 Ai Xuefeng made an introduction about Shenzhen’s economic development and its strategic role in belt and road initiative. 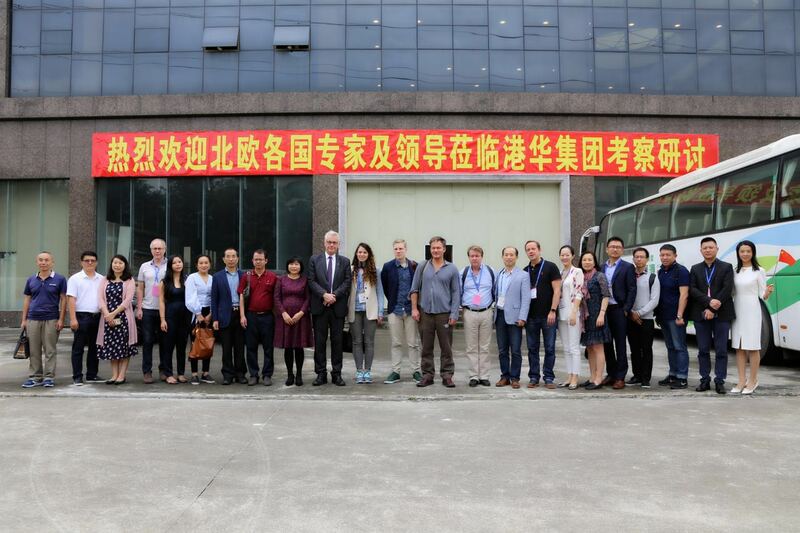 He welcome Swedish entrepreneurs to invest in Shenzhen. 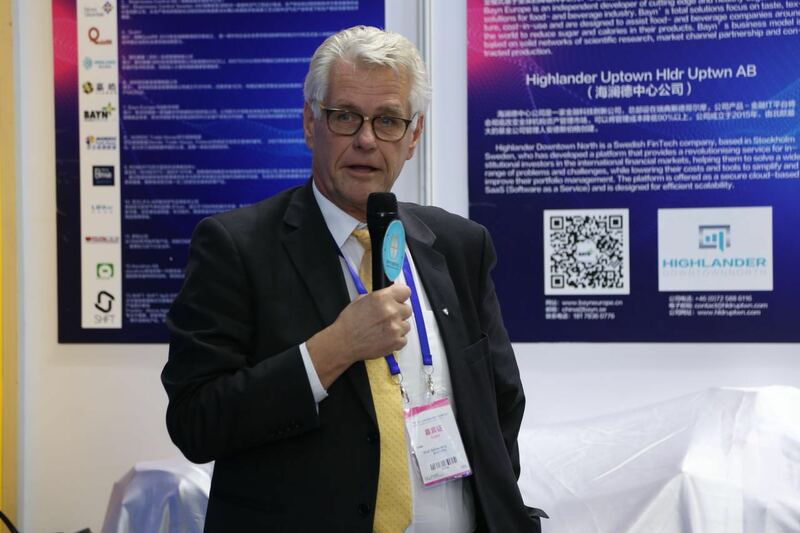 Olle Zetterberg said he was very glad to come to beautiful Shenzhen and willing to cooperate with China. Sweden has a lot of high tech which can have great potential in China. Sweden-China Entrepreneur Association gave us a good beginning in bringing Swedish technology into China. Zhang Qiaozhen held that although Sweden is the first country that established diplomatic relations with China, due to historical and cultural differences, there is still lack of understanding between the two sides. That is why Sweden-China Entrepreneur Association came into being. Its headquarter is in Stockholm. 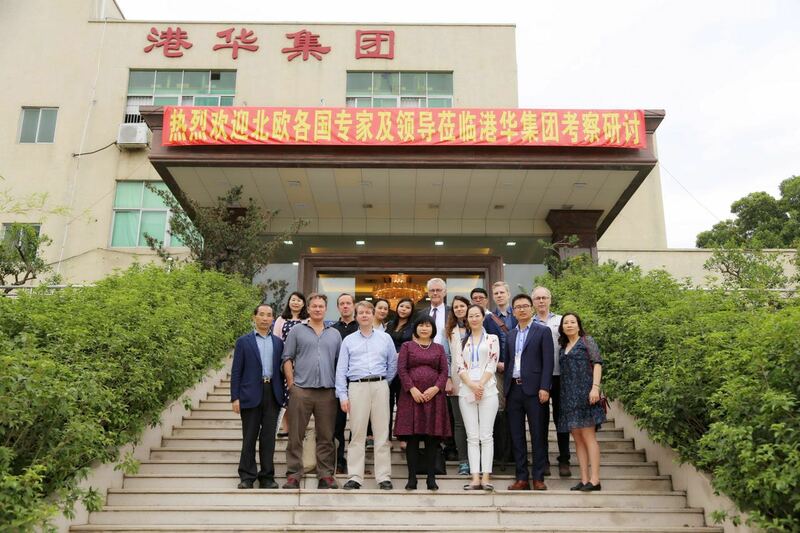 Over the past two years, the association is engaged in projects in high-tech, environmental protection, energy saving, clean energy and electronics. So far it has helped 105 high-tech enterprises and provided incubation platform for dozens of companies. 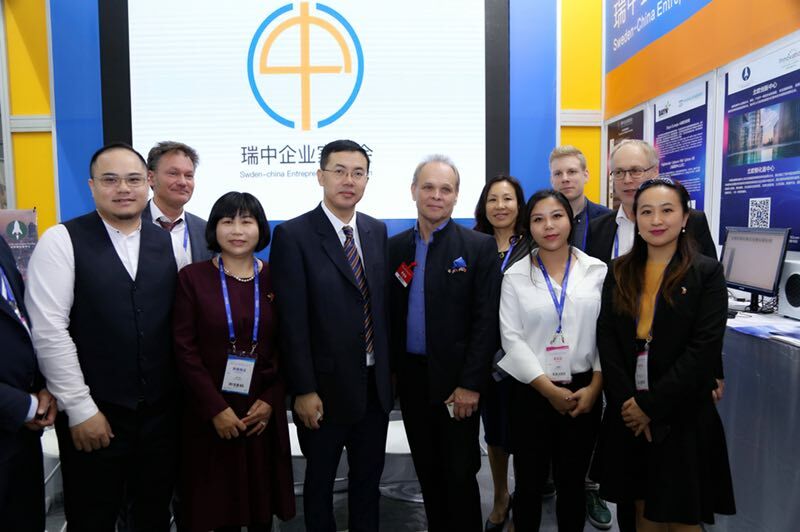 Thanks to the Chinese government’s free booth of High-Tech fair, Sweden-China Entrepreneur Association help many enterprises to attend this exhibition. Her association will continue to exert an important role in providing good bridge for the two sides. 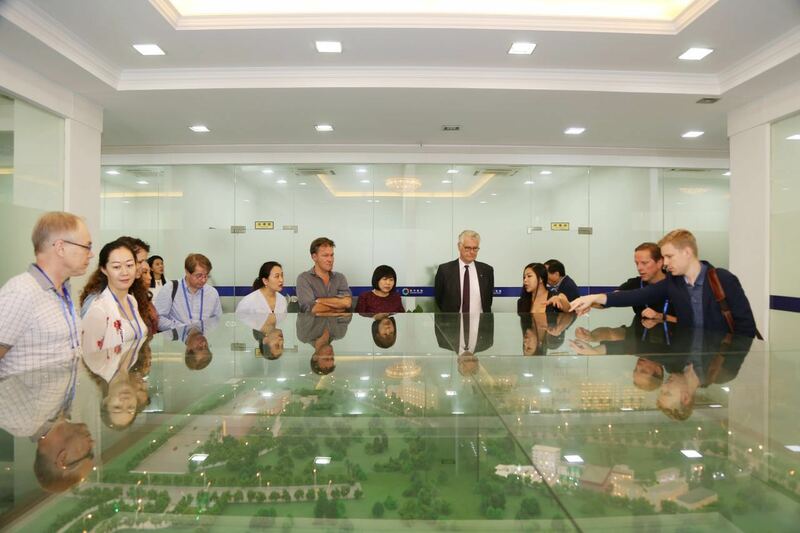 On Nov.18, Zetterberg and other Nordic Entrepreneurs were invited to visit the headquarters of the Kongwah Real Estate Group which covers a total of 30 thousand square meters in 16 storeys. 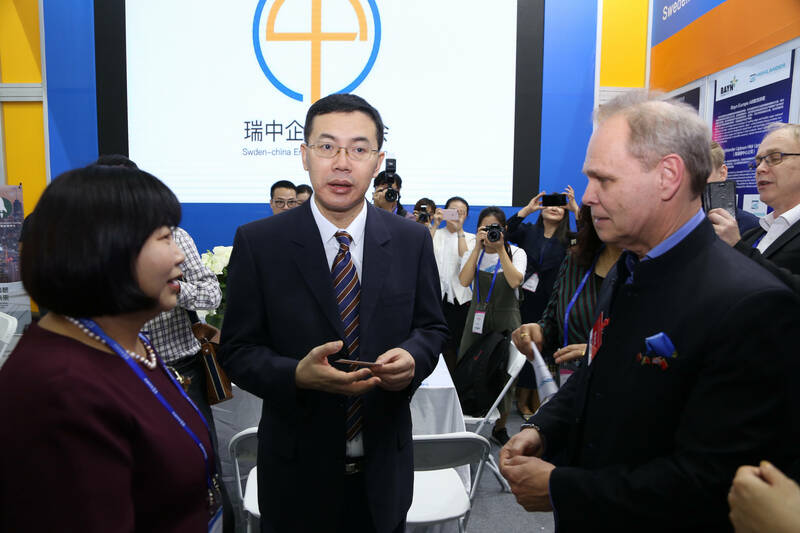 The two sides discussed the establishment of Shenzhen Nordic Innovation Center and Incubator. 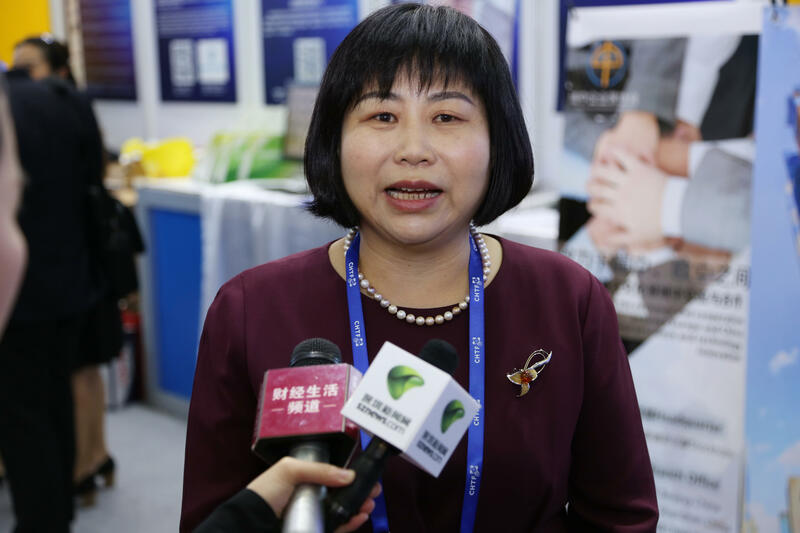 Zhang Luping also presented the company’s development plan and structure,hoping more European High-Tech enterprises can end up in Shenzhen.